This fraud prevention module will screen every order transacted on CubeCart e-commerce platform in real-time for payment fraud. Its sophisticated validation algorithm will accurately detect the fraud patterns to help you to minimize the chargeback and fraud losses. Please visit the FraudLabs Pro Features page to learn more about the type of fraud validation performed and how it could help you to prevent the payment fraud. Unzip and upload the FraudLabsPro folder to modules/plugins folder of where the CubeCart installed on the server. 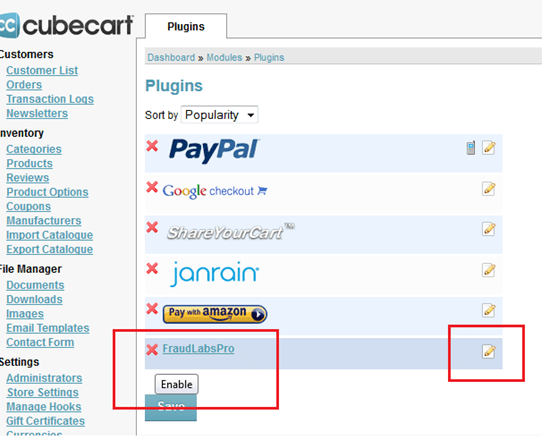 For Example, <cubecart>/modules/plugins. 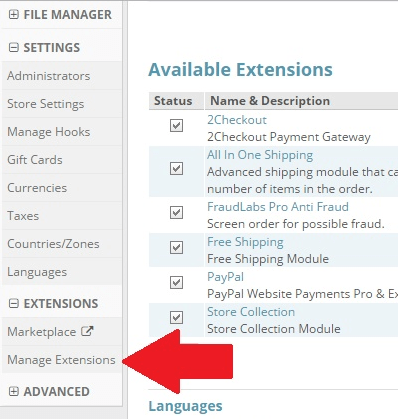 Locate for the FraudLabs Pro entry and click on the entry to Enable it, then click at the Edit tool.